As we’ve said in many of our reviews, the multimedia functionality in the phones nowadays takes great role. It is so important that most people first ask about the camera resolution and just then look if the phone will be compatible with their network. 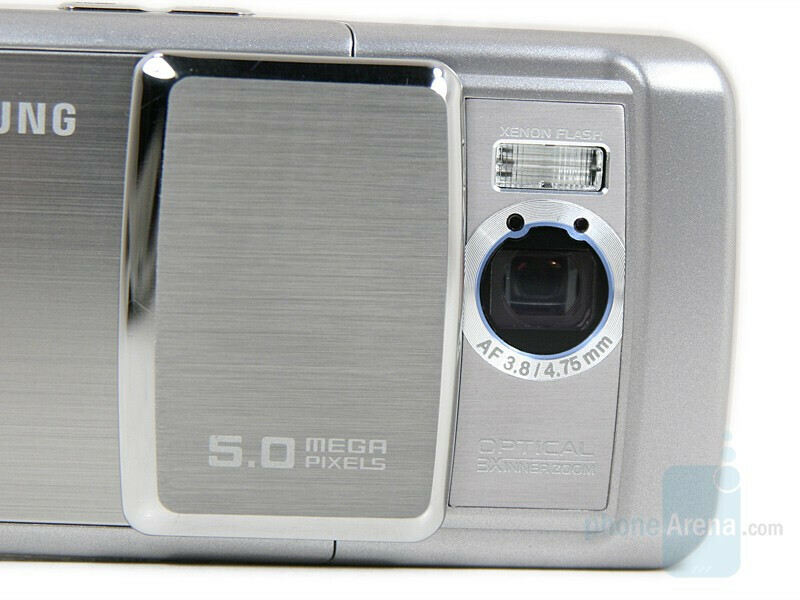 In their non-stop efforts to combine a phone with pocket digital camera, the manufacturers have reached a level when they have almost every phone equipped with some type of camera and more than one of the high-class models have camera with high-resolution. This is the case we have here with the Samsung G800: the G600 we presented a month ago is also 5-megapixel device, but the G800 is the premium cameraphone in this category and excels it with dedicated camera look, optical zoom lens, Xenon flash, new interface and more features. 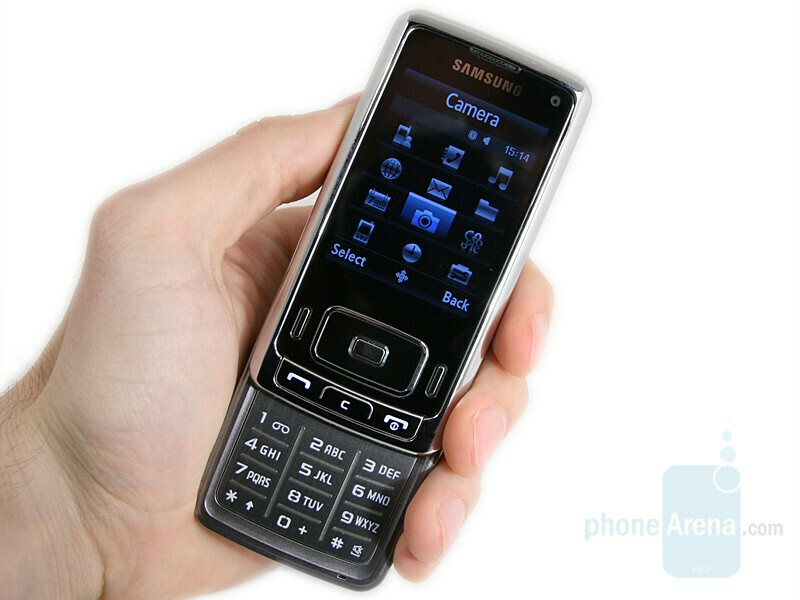 The SGH-G800 is the GSM phone that will try to beat Nokia, Sony Ericsson and LG in the 5-megapixel cameraphone competition. As the phone is still not commercially available we are using a prototype unit. The quality of both the hardware and the software might change when final versions appear, and this is the reason why we, unlike some other sites, will do a Preview instead of full Review and will not give any ratings. Once final units appear, we will update you with in-depth review. 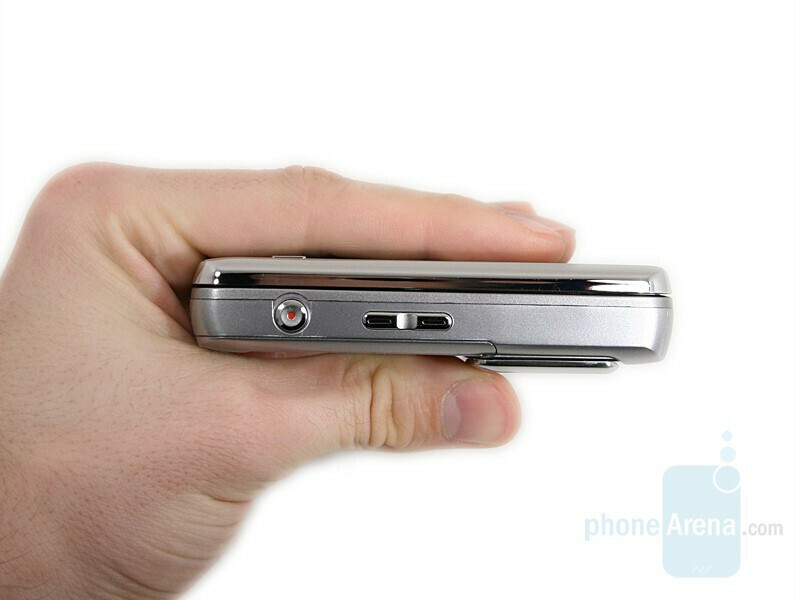 The G800 is definitely not among the smallest phones on the market: even closed it is a solid device almost as big a stand-alone pocket camera and it highly resembles one by its look. With large weight it is also almost as heavy, which combined with the chromed frame makes it feel as a nice high-end phone instead of a plastic toy. 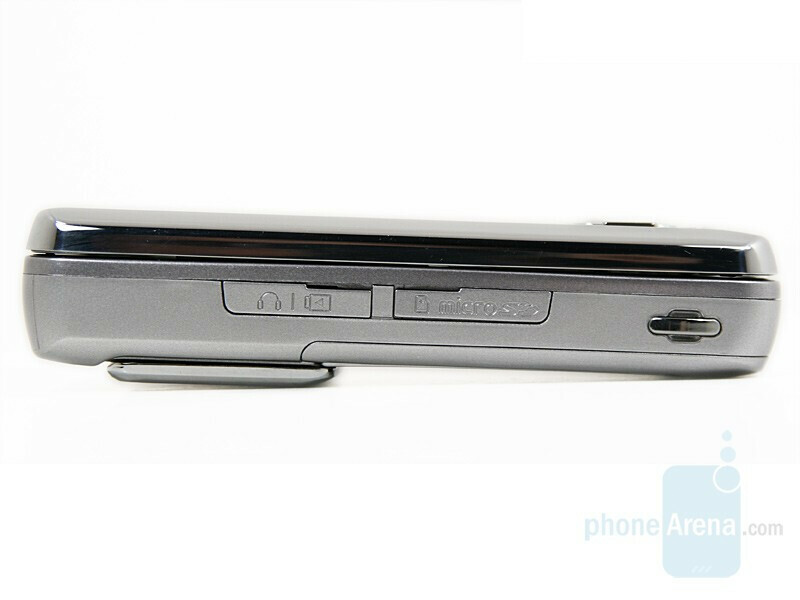 For this also helps that the lens-cover and a detail on the battery cover are made of brushed aluminum. Positioning the G800 not only as high-tech cameraphone but also as high-end device, Samsung has made it with untypical for the brand design. 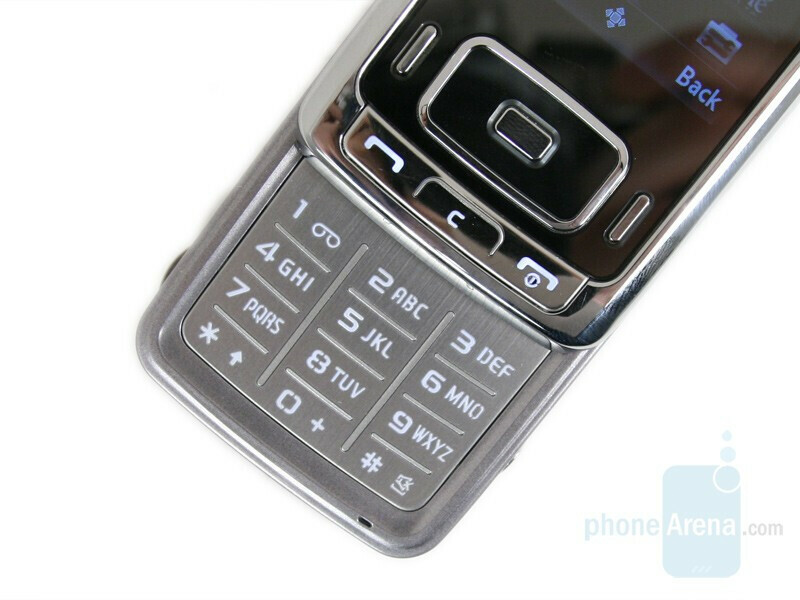 Instead of curved forms everything is rectangular with just slightly rounded corners and as the used colors are the classical shining metallic silver and black the G800 looks very classy. 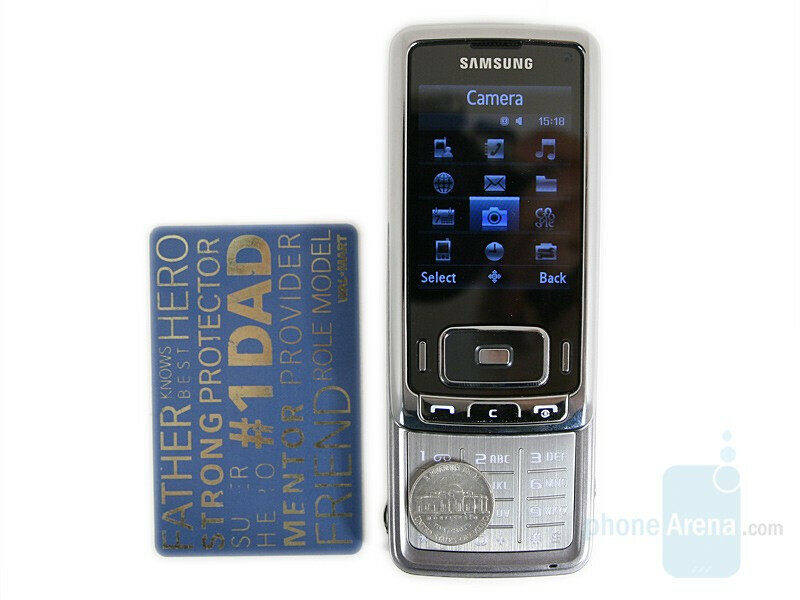 If you’re acquainted with the Samsung’s line of mobile phones, you’ll surely have noticed that it is one of the main players in the “which is the thinnest phone” game, after Motorola started it with the RAZR. 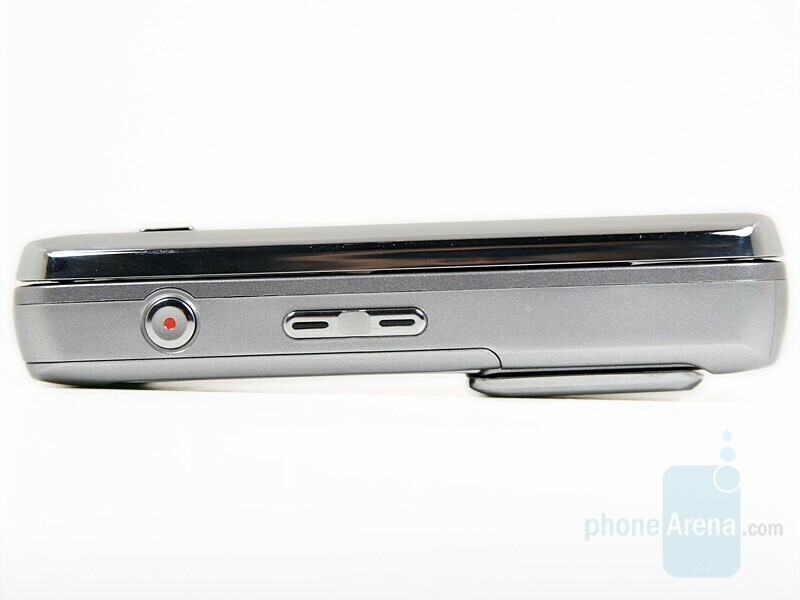 The G800 is not one of these devices, positioned under the “Camera” branding instead of the “Style”, which is used for the slim models, the phone doesn’t care for some additional volume in which to pack its hardware. As this is preview, we won’t comment on the phone’s display quality. It is a 2.4” big QVGA unit with 262 thousand colors. Unfortunately, it lacks sensor for controlling its brightness. Sliding the front open is very easy thanks to the spring-assisted mechanism, although there isn’t exact place for your finger. 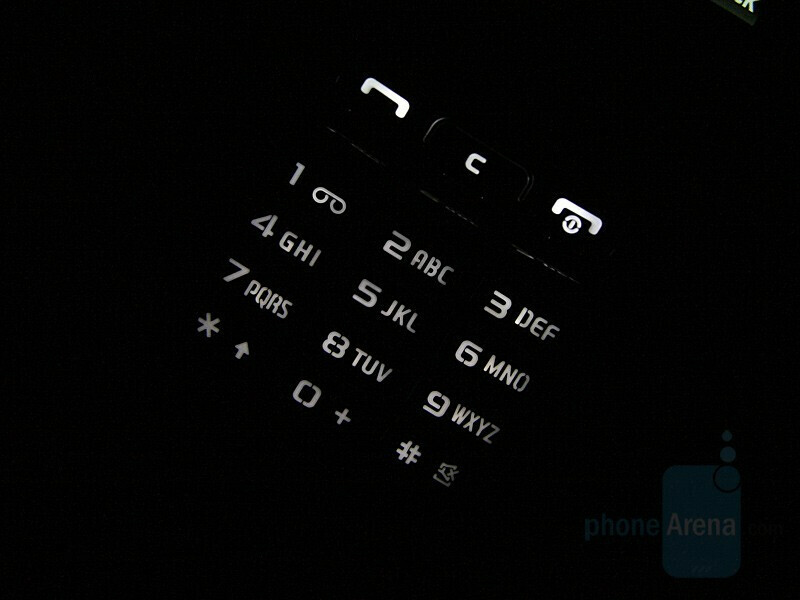 By doing this, the numeric keyboard is revealed. 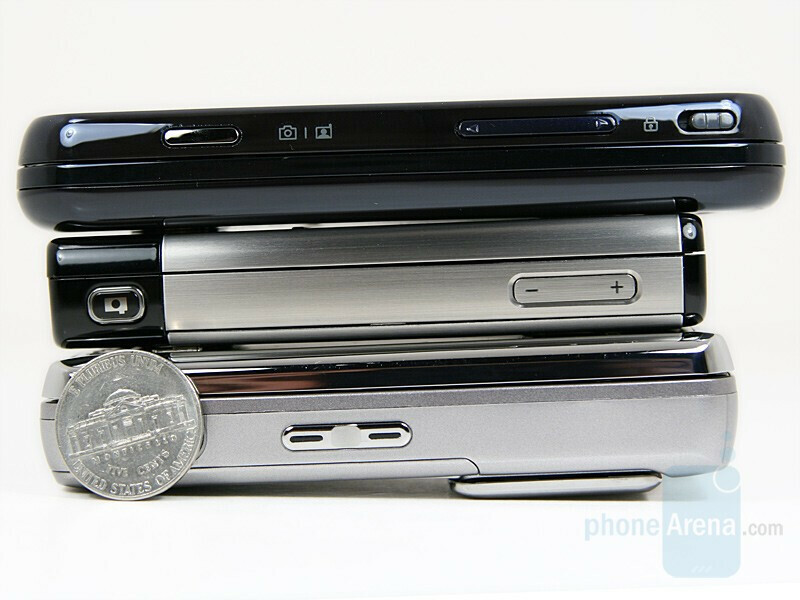 It has the same brushed pattern as the back side and is flat, with protruding lines between the separate buttons. Each one feels easily by and the pressing and tactile feedback are excellent for a flat keyboard. As a whole we are very pleased with it. All twelve keys of the numeric pad, the clear, answer and reject on the upper slider are illuminated in white color. 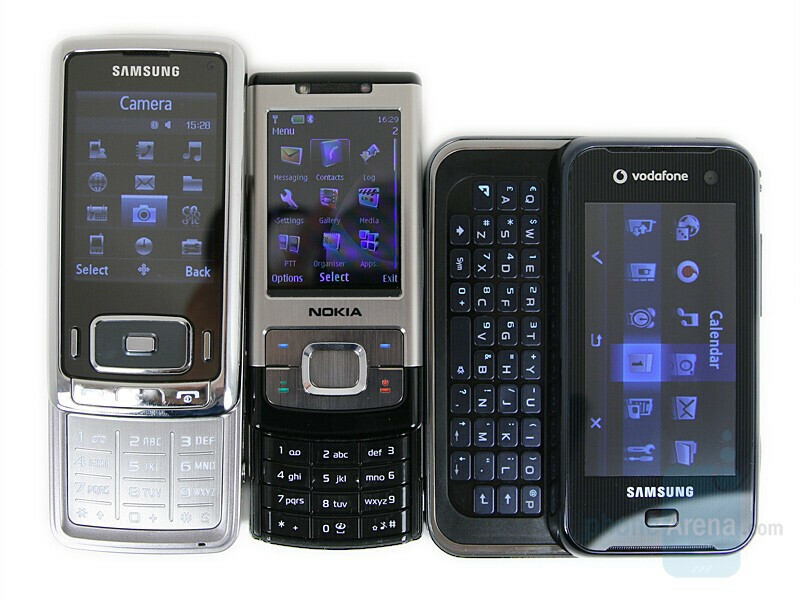 Unlike most others phones, the last two are not in green and red which is made to keep the whole phone color-less. We cannot miss the fact that the 5-way D-pad and the two software keys, which are situated above are not illuminated at all. While this isn’t a problem during the day, when it is dark, you will realize how uncomfortable this is. In such situation you will have to “Find” the buttons by touching and while the soft keys are very easy to feel, it is not so with the directions of the D-pad. Its relief is even smaller than the one of the flat numeric keys, which is illogical and we would have preferred it to be larger. Still, considering there isn’t a whole yard between the illuminated display and the keys, one won’t really get lost when “searching” the buttons but it is still not convenient. All other keys are on the right side, dedicated to the functions of the camera. These are the volume/zoom rocker and the circular shutter key, with red dot in the middle. The latter is designed to attract attention, once again reminding that this is a cameraphone. The rocker that acts as zoom in/out is in the middle which we first thought was strange, but then realized that it is done in order to press it with the right hand without obstructing the lens on the left. 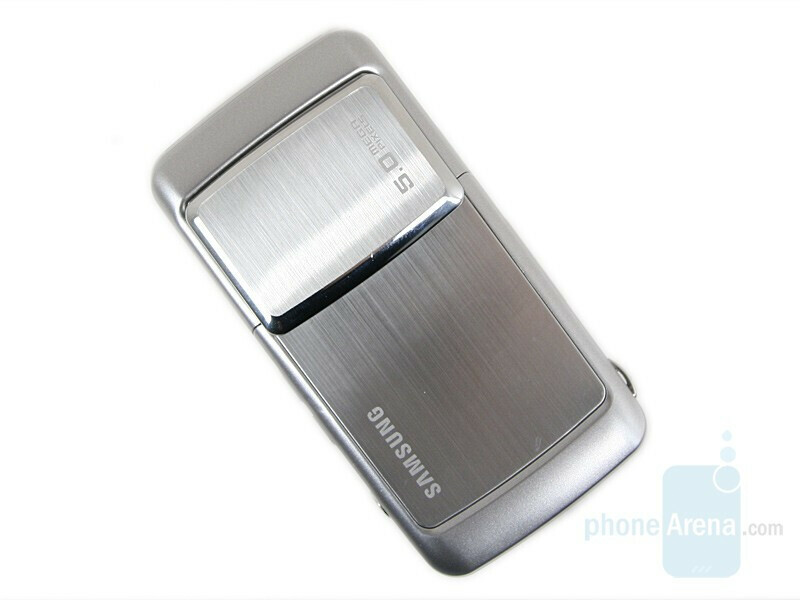 On the opposite side are the universal Samsung connector and the microSD slot for memory. They are both protected with covers matching the design of the sides. While there is nothing on the bottom, the top houses the openings for the stereo speakers. While the lens-cover at the back is closed, there are only the labels for the brand and the camera. Slide it opened and below are the Xenon flash and the 3-times zoom-lens, which doesn’t retract (the lenses move inside the phone’s body). The solid lens cover opens easily, once you get used to the fact that your finger must be at its middle. Trying to slide from the upper or lower part will still open it but will require some effort. Thanks for this preview ! Ok what is missing now is the confirmation that the xenon flash was (substantially!!) improved on the final version. Can you confirm already ? When do you think Review will be online ?